Karen is a visual artist with a formal education in painting/drawing, and digital media with post graduate course work in printmaking. She has shown her work in numerous exhibitions and art fairs locally and nationally. 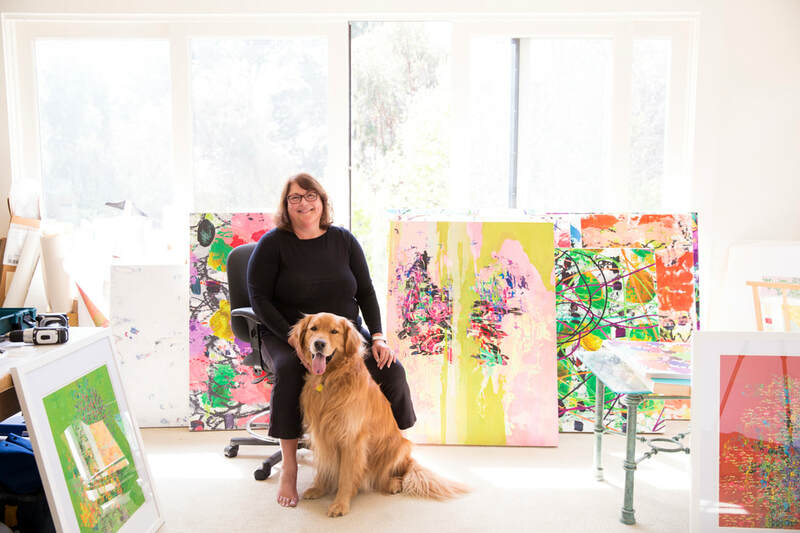 Her professional career in the software industry has influenced her process and works to her advantage in developing her layered mixed-media works. She is able to refine her paintings, prints, and installations by adding intricate patterns of organic and inorganic forms. Acrylic paints and thin layers of photographic images are applied directly to birch panels in multiple layers creating the final work. Karen's process is multi-layered. It is a hybrid between analog and digital, painting, monotype printmaking, and everyday iPhone snaps. With colors bold and plastic by intent, the final composition is an intricate symphony of contemporary clutter, celebrating the vaguely grim effects of a frayed society.